19.00: Another freezing cold night is waiting for the hundreds of people at Idomeni, among them many children. The day was quite calm, the thread of eviction being in the atmosphere. 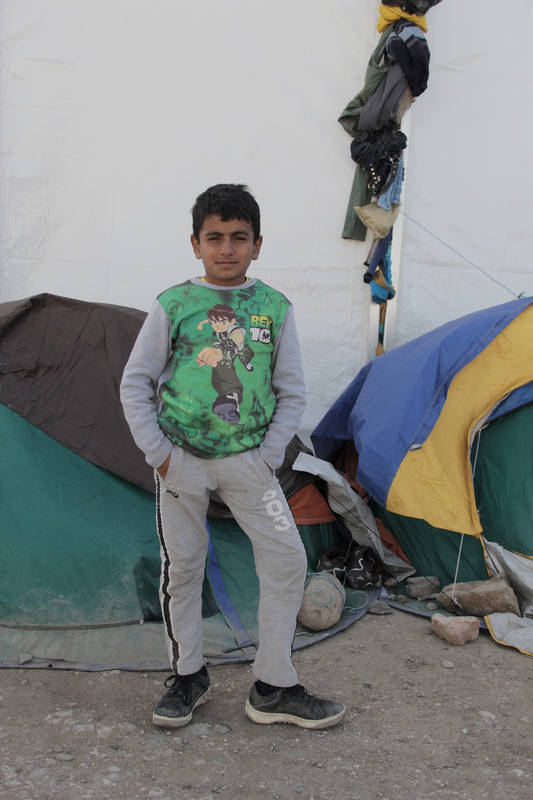 Still the conditions in the camp are miserable: Lack of food, water, warm equipment and of course, lack of any perspective. But anyways, people are preparing for new ways and new solutions. „Tigers Don’t change their ways because of dogs barking“, one person announced today. We will report tomorrow again. 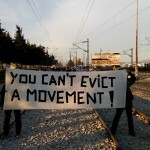 14.00: The situation is calm, until now it doesn’t look like an eviction will happen today. Furthermore, FRONTEX’s office- container is still empty and there is no sign of their presence. 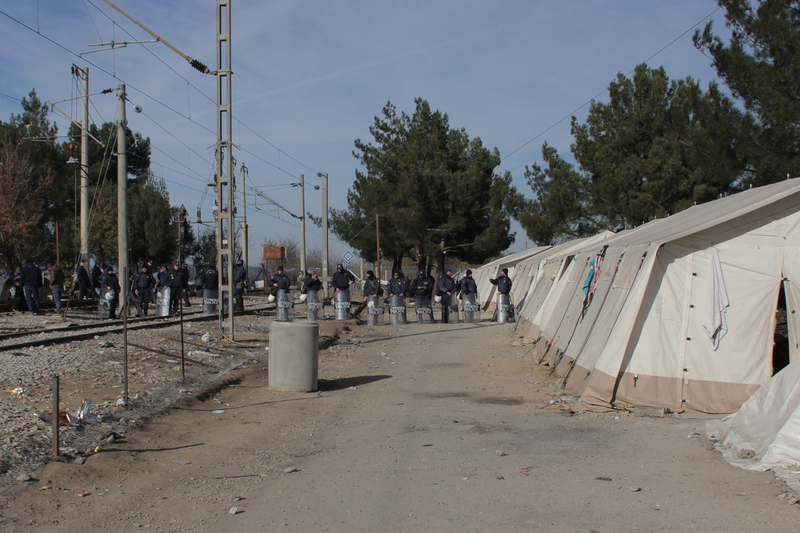 The UNHCR believes that still 2000 to 2500 people are staying here at the moment. 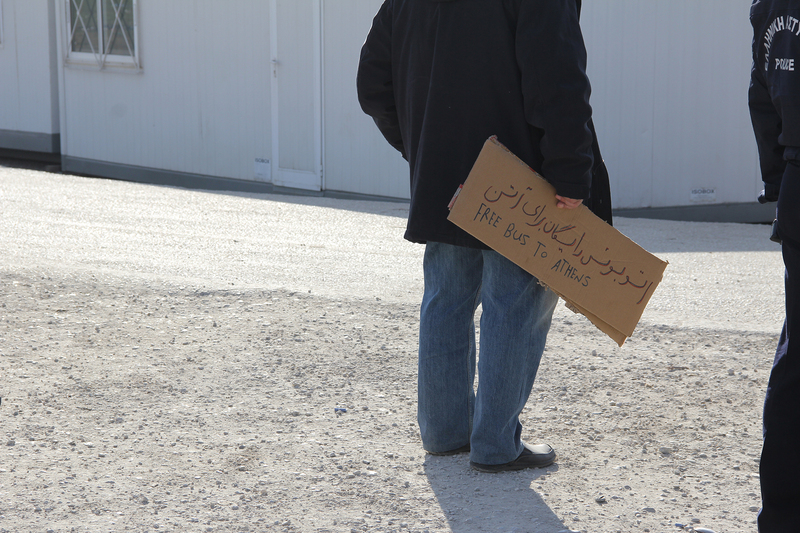 In the last hours no new people have arrived, so there is no one waiting in front of the border. In the morning again several small protests against the arbitrary separation took place. 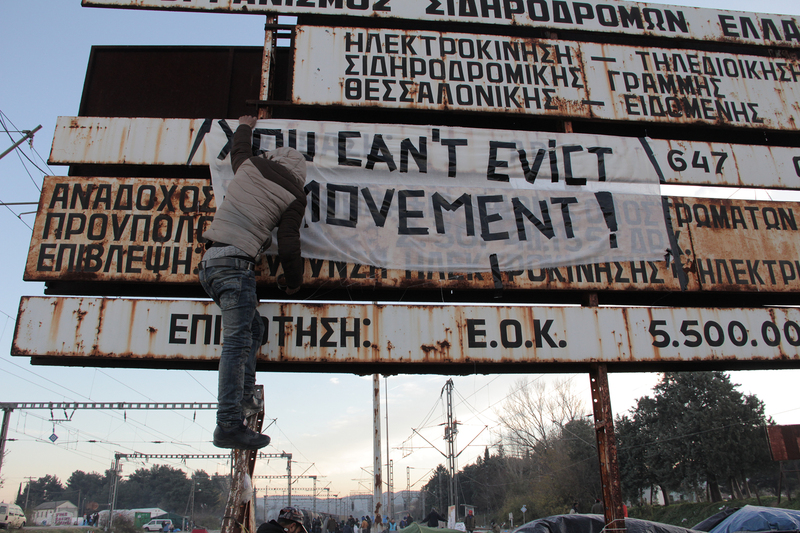 We met people who went to Athens and already came back here – they declared that here the situation was better. 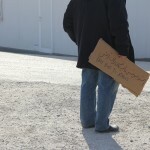 In Athens they had been in a stadium with 2000 people, no food, nothing. 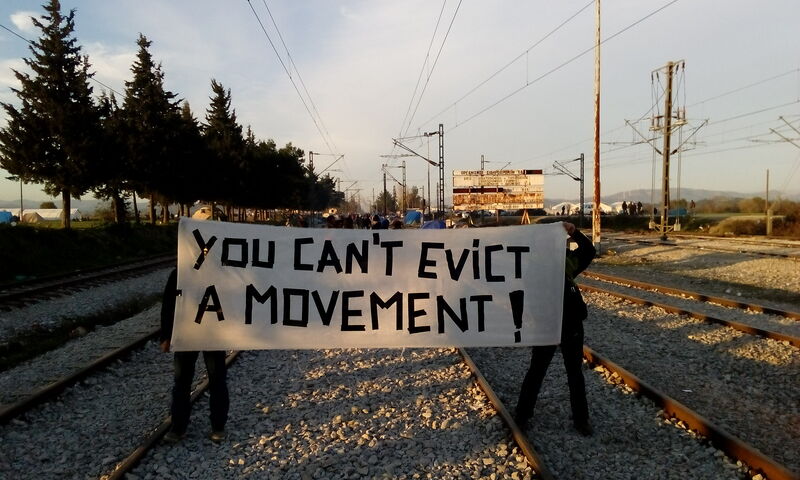 The chapter Idomeni is not closed yet.